Skype is the world’s most popular free internet (video-) calling service. 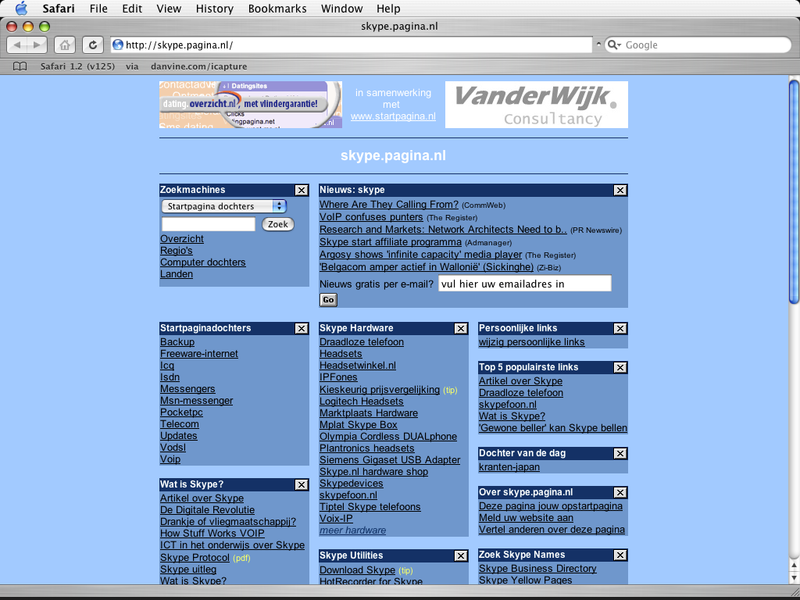 At the famous dutch directory Startpagina.nl we created skype.pagina.nl. Here interested visitors can find an overview of the best Skype-related websites. Startpagina.nl has proven to be an excellent advertising medium, the daughter pages attract high quality traffic (people who are interested in a very specific subject). Next to skype.startpagina.nl, we also maintain backup.startpagina.nl and wordpress.startpagina.nl. Please contact us to find out more about the advertising possibilities on these pages.